Technology-enabled crime is on the rise and becoming more complex and diverse, with hacking attacks costing Australia approximately $1 billion a year. Our double degree in criminology and criminal justice and information technology provides a combined approach to tackling cybercrime. 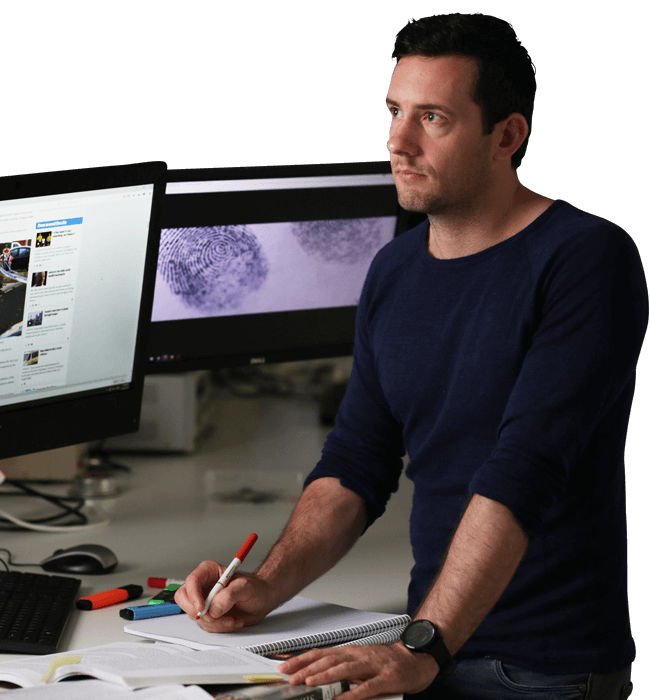 The degree focuses on developing a set of specialised skills in both advanced digital technology and the understanding of criminal behaviour, trends in crime, and policy development. You will learn about the causes of crime and society’s response to it, whilst developing IT technical knowledge related to Information Systems and Network Security. Learning about trends in crime, government, the courts and policy development, students also have the flexibility to specialise with elective courses such as policing, working with offenders and victims, and analysing and preventing crimes. Combining this knowledge with advanced skills in Information Communication Technology problem solving, programming, human computer interaction, data management, network security, and proficiency in ICT modelling graduates will have in-depth understanding of the theoretical frameworks underpinning the study of criminal behaviour. Australia’s unique criminology degree is designed in collaboration with industry experts, building upon their own experiences to create a degree that will prepare you for real careers. As one of the largest Criminology schools in the world, we can offer you a wider range of electives and more internship and workplace opportunities. Griffith is one of only two universities in Australia to be awarded a rating of 'well above world standard' in criminology research*, recognising the strength of criminology scholars and teaching staff at the University. *Excellence in Research Australia 2015. Cybercrime is on the rise across the globe, learn about what cybercrime is and how graduates from the Bachelor of Criminology and Criminal Justice and Bachelor of Information Technology double degree are well equipped to tackle this growing threat. This video features: Dr Jacqueline Drew, program director, Trevor Turnbull, Griffith alumnus and CEO, Imagatec and student Thomas Spalding. New Master of Cyber Security scholarship now available. You will find opportunities in police and law enforcement, corrections, intelligence data collection and analysis, crime prevention, regulatory enforcement and investigations. In addition, a criminology and IT double degree offers a range of opportunities beyond government and security firms. The largest companies in the world - Google, Facebook and Microsoft, for instance - hire cybersecurity specialists. Additionally government departments are creating positions around intelligence and cybercrime prevention.